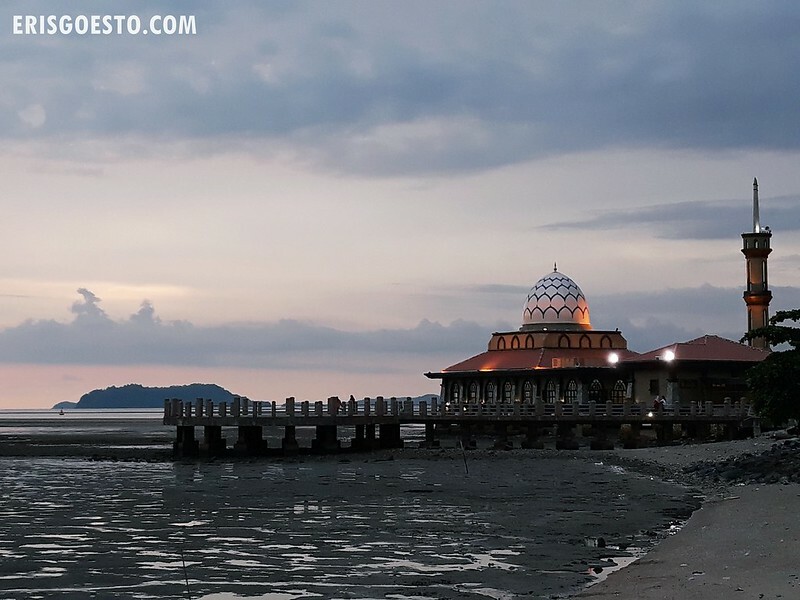 It ‘s easy to see why Masjid Al Hussain in Kuala Perlis is often called the most beautiful mosque in Malaysia. 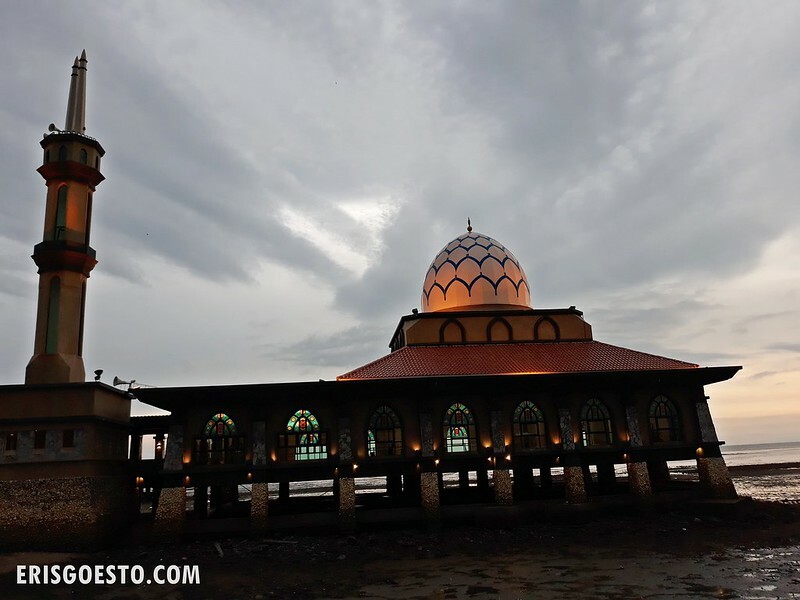 Like the state of Perlis itself, the mosque may be small in size but is stunning in its beauty and unique architecture. 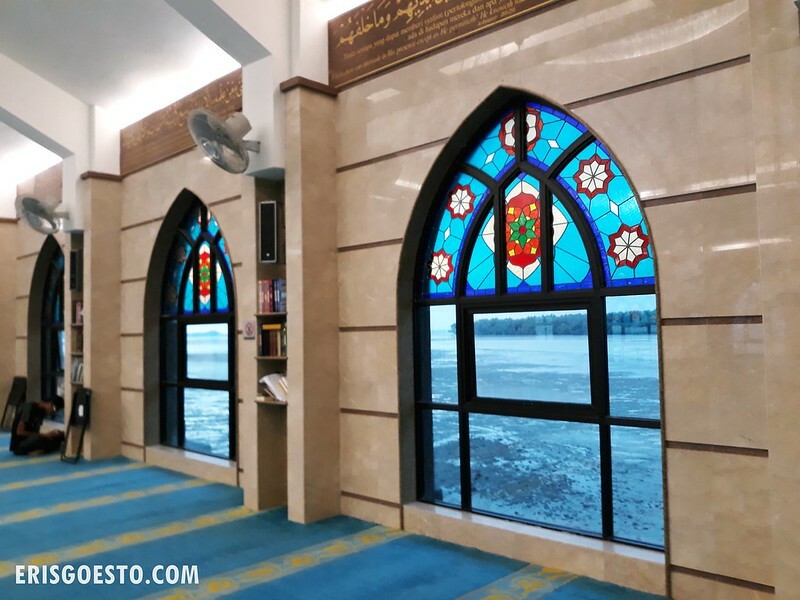 The mosque combines traditional Islamic design such as geometric patterns and floral motifs with modern touches. 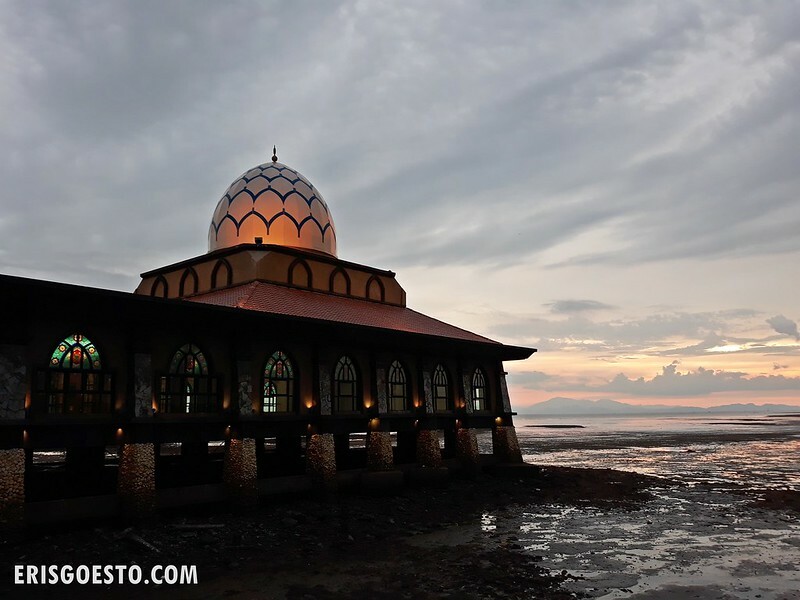 Perched on stilts looking out to sea, it is also called the ‘Floating Mosque’ because during high tide, it looks as it the building is floating on the water’s surface. Unfortunately during our visit, it was low tide – but the sight of it in the sunset was already lovely enough as it is. What I found special about the mosque was its colourful stained glass windows, which I’ve only seen in churches before but not a mosque. Instead of painted walls, the walls are embedded with corals, granite, marble, pebbles and quartz. The minarets are lit up at night with different colours to signal a different prayer time and can be seen from miles around. After donning robes, we ventured inside. 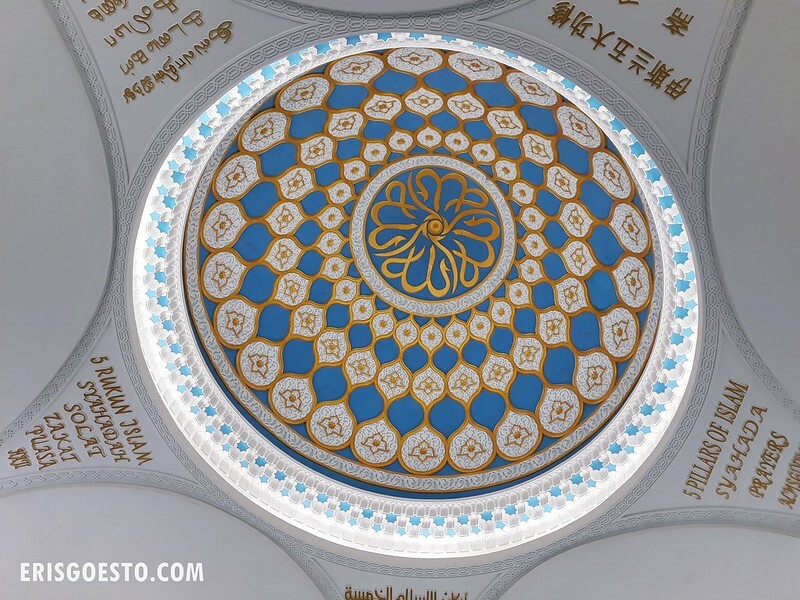 There was a beautiful blue, white and gold dome surrounded by a star pattern; each corner engraved with the five precepts of Islam in different languages. The carpeted floor had a similar colour scheme of blue and gold. Stained glass windows with geometric patterns. View from the other side of the mosque. Our hosts did all the ordering. 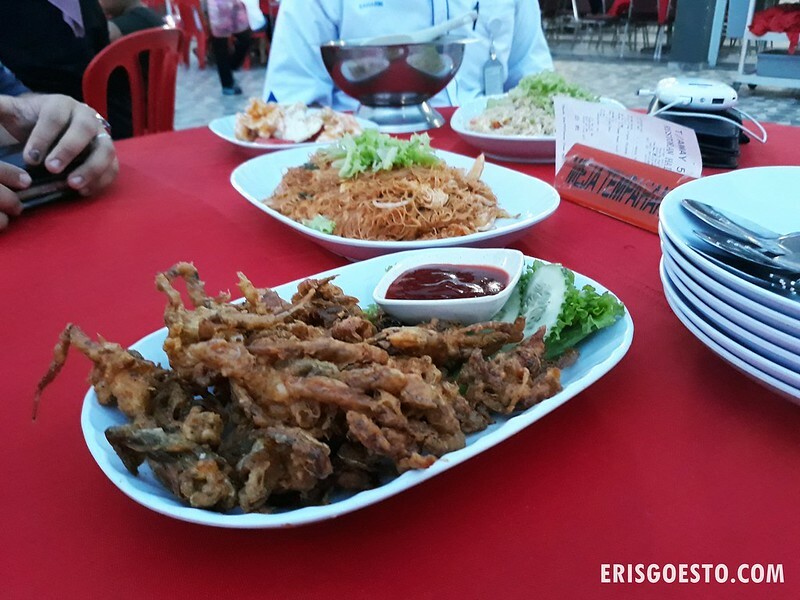 My favourite was the soft shell crab – lightly battered, crispy on the outside, sweet and flavourful on the inside. 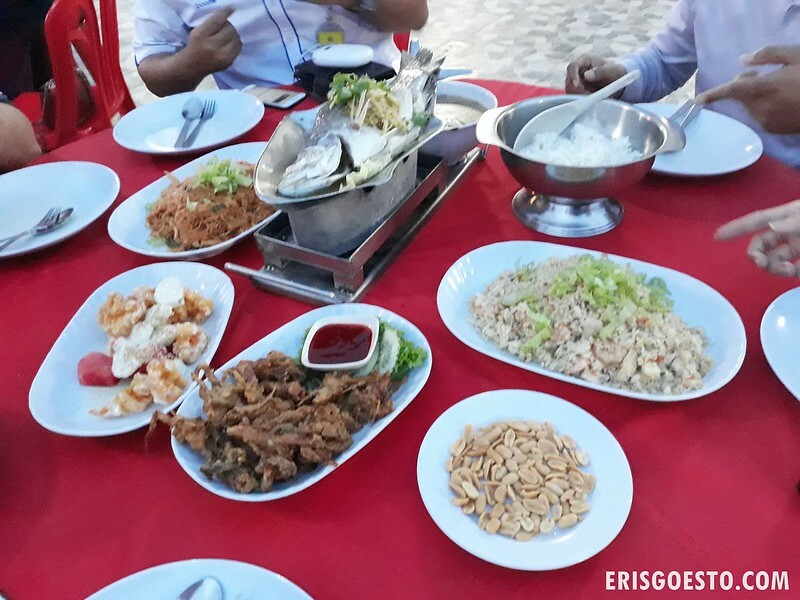 Other dishes that we had: fried rice with chicken, steamed fish, salad shrimp and stir fried mihun (vermicilli noodle). Loved the salad shrimp which was served with fruit and a sweet creamy sauce, only qualm was that there wasn’t enough to go around. Can imagine how beautiful it would be, from the inside looking out and from the outside looking in, when the tide is in. 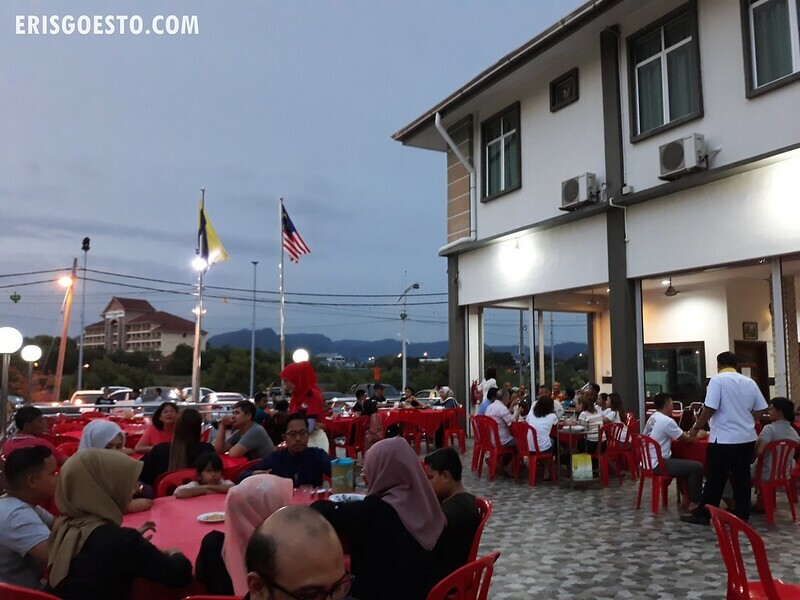 Must make a visit to Perlis again soon.